One of life’s very best stress busters is swimming. If your life is stressful and you come home at the end of the day wishing you could relieve some of that stress, make a call to Swim-Mor Pools and Spas with three convenient locations in Southern and Central New Jersey – Mt. Ephraim, Northfield, and Englishtown. Our professional experts will design and build the in-ground swimming pool you have always wanted. If you are considering purchasing an in-ground pool, extend your free-time relaxation experience with an add-on hot tub. A hot tub extension by Swim-Mor will also renovate and modernize your existing in-ground swimming pool, adding value to your home and completing your backyard summer retreat. Select your new spa from a wide variety of options our experts will blend the construction into the total look of your swimming pool and surrounding landscaping. 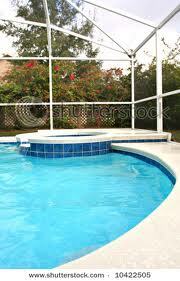 Swim-Mor pool and spa experts offer additional upgrades for your in-ground swimming pool.